Isn’t it funny how once you become a parent you have a whole new appreciation for the many things your parents made possible for you? As the sunny, summer days come to a close and back to school season begins, I often find myself chuckling as I remember what my parents let me participate in when school started back up. I feel like my parents got off easier with my brother. For lack of a better term, but I mean it with all the affection in the world, my brother was kind of a nerd (pretty sure that’s a compliment these days anyway!). He was really into computers, really into good grades (unlike me), and really not into anything extracurricular. I, on the other hand, participated in ballet, cheerleading, and then drama in High School. Not to mention the movie outings with friends, sleepovers, and school dances I had to attend. All of these things meant that until I had my license and a job, my parents (mainly my mom) graciously bussed me around to my various activities. We lived out in the country a bit, and so for my parents to take me to all of the places I wanted to go, I sometimes needed to find a friend to carpool with or plan a sleepover to avoid driving both ways – also just one of the many reasons why a curfew was in place! I can’t imagine it was a job they really enjoyed. Besides the cost of the gas, it cost them time away from things they might rather have been doing! I homeschool my oldest daughter Grace, which isn’t always easy. Not because she’s not an easy child – she pretty much is, but teaching a child is a huge responsibility, not to be taken lightly! This does mean that I’ll be doing a lot more driving during the school week than I usually do – no way around it. But you know what, it’s for a season. Yes, going forward she will probably begin to take more classes and participate in more activities and maybe they will or won’t coincide with the other commitments we’ve made, and that’s okay. If a bit of mom taxi service is what it takes to help her learn to love to learn (does that make sense? ), it will have been worth it! Somebody remind of that halfway through the year! With all of your young scholars headed back to school, whether that be public, private, or home, you will undoubtedly have busy evenings. I firmly believe in making time to sit at the dinner table as a family and I realize that can be super hard if your kids are in sports, especially! However, the dinner table should be the place where everyone listens to each other and finds out about each person’s day. What they are learning, did everything go okay during the day…it’s a time to ask questions about each other while you nourish your bodies! 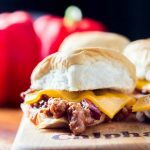 And with that in mind, today I’m sharing an easy family favorite – sloppy joe sliders that you make in your crockpot! 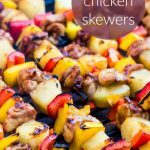 I think this meal would be excellent for families who are in sports, too, because you can take this whole meal to go and eat it on the field or in the bleachers together. Yes, it’s messy, so if you go that route, make sure you pack extra napkins! Slow-cooker meals are so great for school days – just a matter of putting together some ingredients in the morning (or the night before) and finishing it off around dinner time. 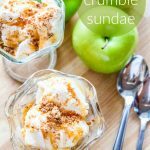 I often make these on Thursday evenings, because that’s when our kids have their Awana nights. 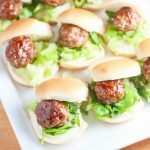 If you’re looking for a really quick, delicious dinner for those crazy back to school days, you’ll want to try this kid- and parent-pleaser out. 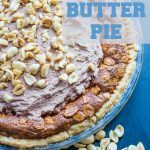 You’ll love the flavors, but even more, you’ll love the time you saved by letting the slow-cooker do all the work so you could spend more time with your family. 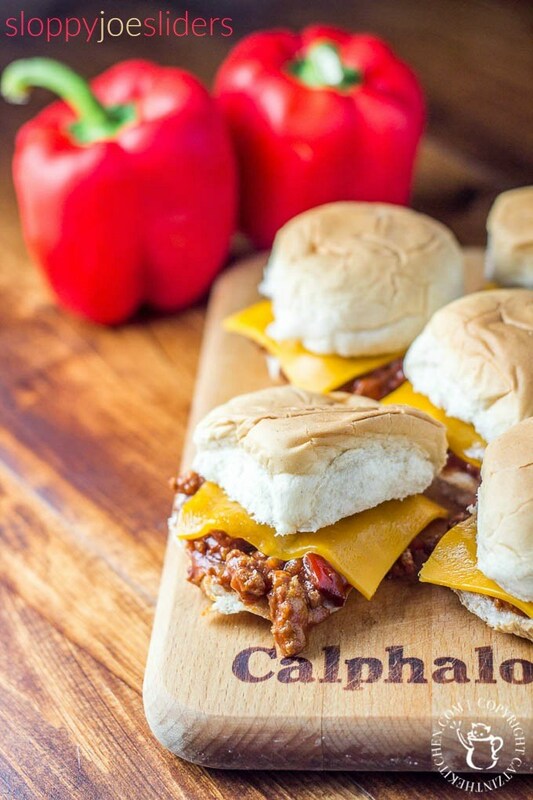 Sweet & tangy, slightly sophisticated and fun, these slow-cooker sloppy joe sliders up the ante and are perfect for your game day munchies! Cook and stir ground turkey, onion, and garlic in a large nonstick skillet over medium-high heat until turkey is browned and onion is tender. Combine ketchup, bell pepper, worcestershire sauce, brown sugar, mustard, vinegar, and chili powder in the bottom of your slow-cooker. Stir in turkey mixture. 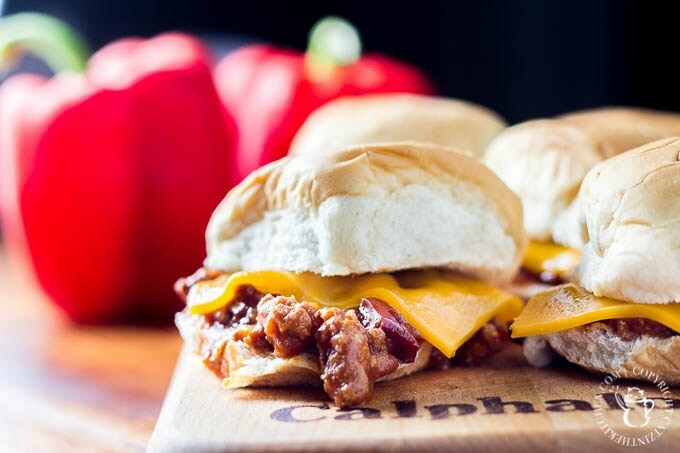 To serve, place cheese on the bottom of the slider and spoon the sloppy joe mixture on top, allowing the heat from the sloppy joe to melt the cheese.